The North Carolina Senate filed a Constitutional amendment Tuesday that would shorten all judges and state Supreme Court justices terms to two years and end all sitting judges terms in December 2018. “That’s just fundamentally repugnant to everything I believe,” he said. 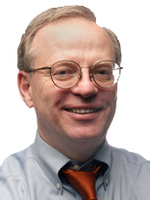 He added that when the 1868 state Constitution was being discussed — it was the first one with a requirement for judges to run for election — the issue was how long a term judges should serve, not how short. He said some lawmakers at the time wanted 16-year terms. Orr said he hopes lawmakers will have the sense to vote the Constitutional amendment down before it even has a chance to make it on the ballot. “It just sends the wrong message in so many ways,” he added. The amendment, which had not been publicly discussed before it was filed, if passed, would open every judicial election up for candidates across the state without any primary elections. Lawmakers voted Tuesday to override Gov. Roy Cooper’s veto of SB656, which eliminates judicial primaries next year. There are currently 272 District Court judges, 109 Superior Court judges, 15 state Court of Appeals judges and seven state Supreme Court justices, according to the Administrative Office of the Courts (AOC). SB698 would end all of their terms on Dec. 31, 2018. If SB698 passed, North Carolina would also become the only state in the nation with two-year term limits for Supreme Court justices. All judges and justices in the state serve eight-year terms, except District court judges who serve four-year terms. 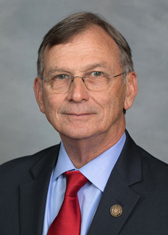 Sen. Bill Rabon (R-Bladen, Brunswick, New Hanover, Pender), who filed the Constitutional amendment, did not return a phone message or email seeking comment. His comment reduces the judiciary to a political branch of government when in fact it is meant to be completely independent. It’s been reported that the Constitutional amendment could be used as a bargaining tool to get judges to negotiate with lawmakers on judicial redistricting and “merit” selection. Rep. Marcia Morey (D-Durham), who is a former Chief District Court judge, said she doesn’t think it will work. “I hope it will open their eyes to see how they’re trying to manipulate the courts,” she said. Supreme Court Chief Justice Mark Martin was not immediately available for comment. Sharon Gladwell, spokeswoman for the AOC, said Tuesday that they had just been made aware of the amendment and would soon read it. Cooper’s office did not respond to an email seeking comment about the amendment. 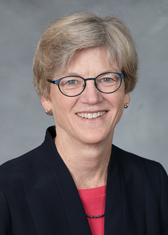 Bob Phillips, Executive Director of Common Cause NC, said the amendment is another troubling example of the legislature attempting to undermine the judiciary. The House and Senate have both adjourned until January, so the amendment isn’t likely to be taken up before then. Apparently the power hogs in Raleigh want war. Their gluttony is out of control. Understand, there are many conservatives in the woods and in Ral that are opposed to this. I have heard it speculated that it is but a “noisemaker”. Unfortunately it attracts attention in the wrong way and plays right into the hysteria vein of democrats who then exploit it as we see here . Its a deeper tactic than what it appears but it is a bad one. This will not pass. There are too many conservatives opposed to it.